Las Casuarinas community neighbourhood, Lima, Peru. 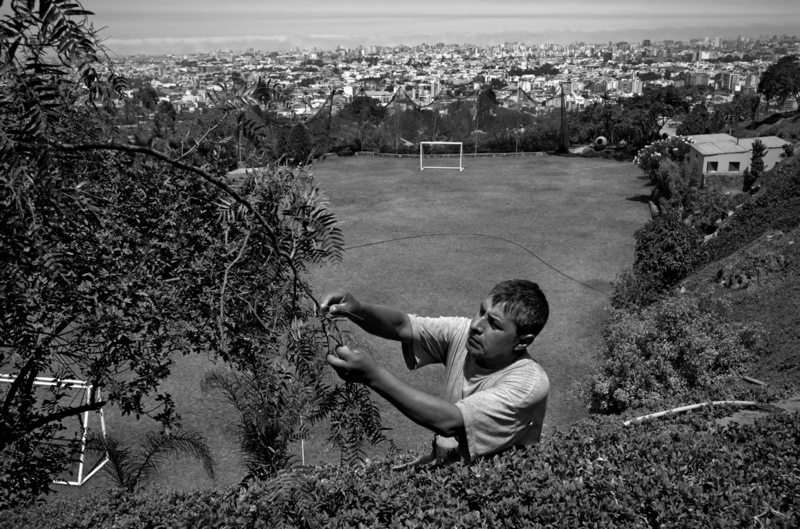 A gardener is working on one of the "public" green areas in Las Casurarinas. Before Casuarinas first residences were constructed, the hills looked like the opposite one, dry and inhospitable.